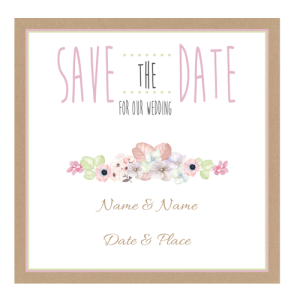 As a courtesy save-the-date cards give your guests a heads up that they will be invited to your pending wedding celebration. Save the date invitations create an air of excitement and anticipation for your pending wedding. 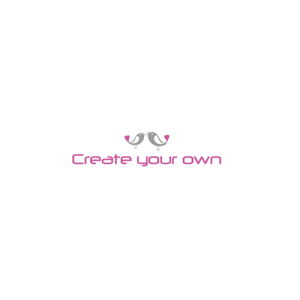 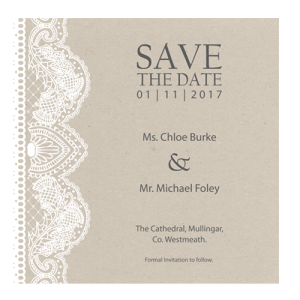 The earlier you notify your wedding guests the better this not only gives them the opportunity to book time off work, make hotel and flight reservations, save-the-date wedding invitations ensure that all your wedding guests are kept in the loop of your wedding plans and allow your guests to plan ahead. 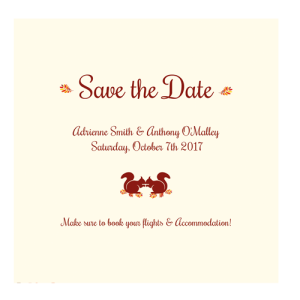 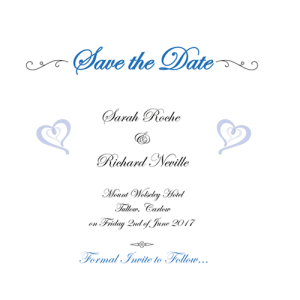 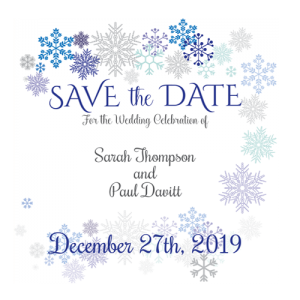 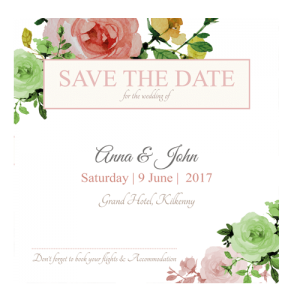 Weddings abroad or destination weddings Save the date announcements are an excellent way of giving your guests time to plan for a destination wedding and saving money for your celebration. 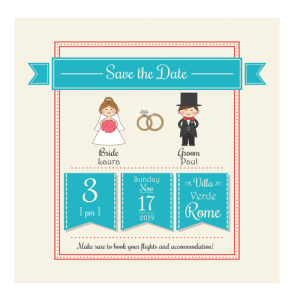 Sending Save the date cards for destination weddings in plenty of time will increase your guests acceptance rates for attending your marriage abroad. 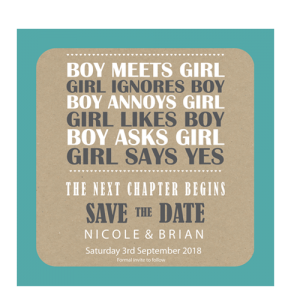 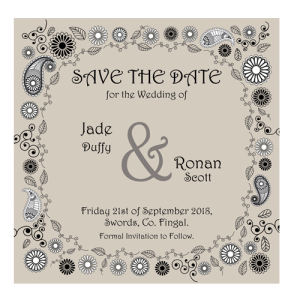 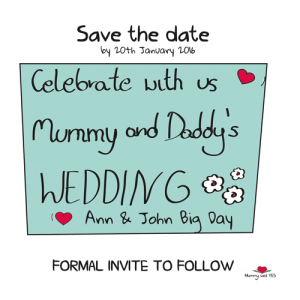 Three day or weekend celebrations have become very popular over the last couple of years and again a save the date card is ideal for giving your family and friends a heads up of your wedding celebrations over a weekend. 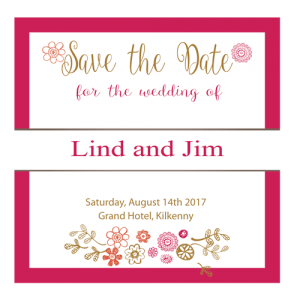 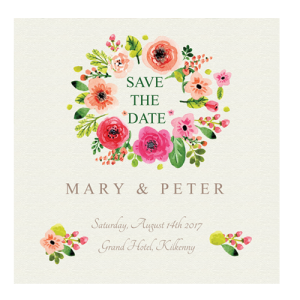 At this early stage Save the date wedding invitations do not have to match your theme as you may not have decided on your wedding theme yet. 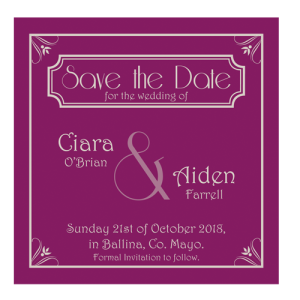 The important information for save the day cards include the marrying couple names, the marriage date, city or destination, you may not know the venue yet so the city or town will suffice for now and mention that you will be sending the formal Wedding Invitation out two months prior to your wedding celebration. Always include the guests names on the envelope just to be clear and avoid any unexpected guests this also helps with planning your wedding guest list. 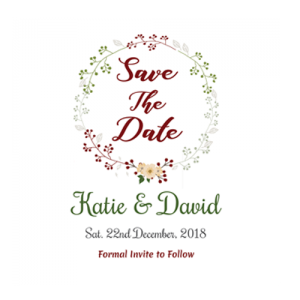 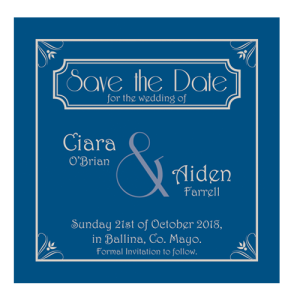 Guests who are likely to get a Wedding evening invitations do not need to be sent a Save the Date card at the early stages of your wedding planning. 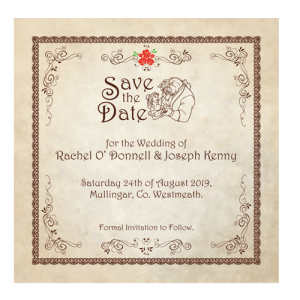 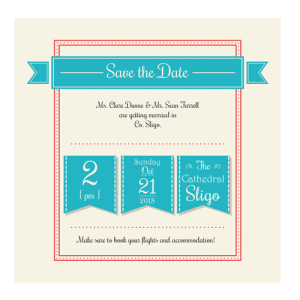 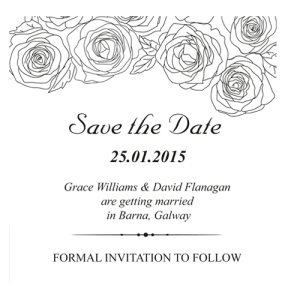 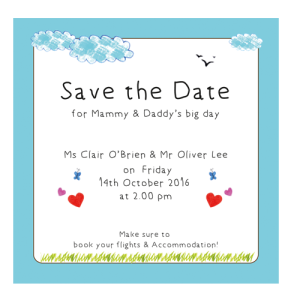 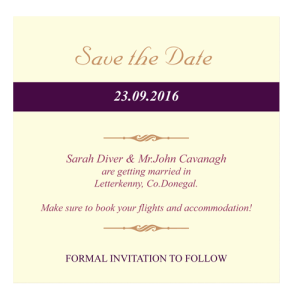 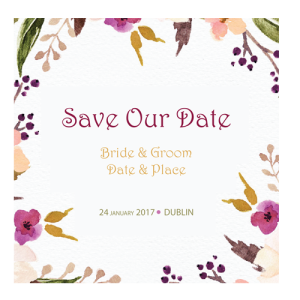 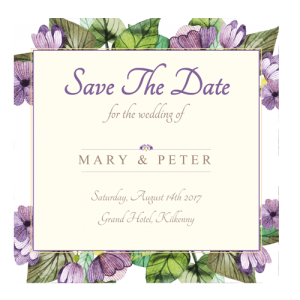 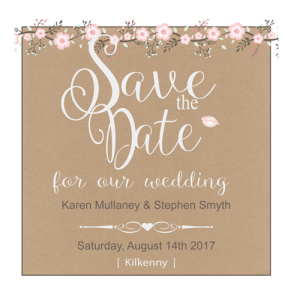 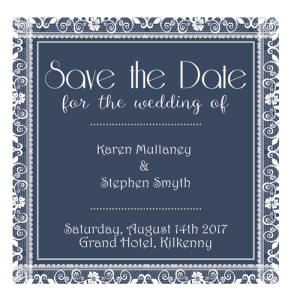 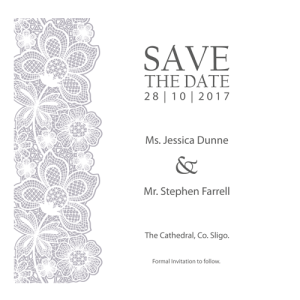 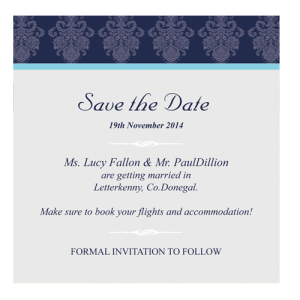 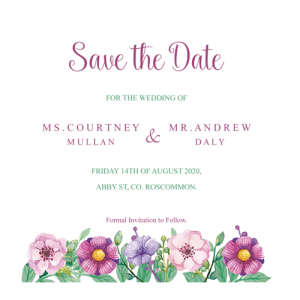 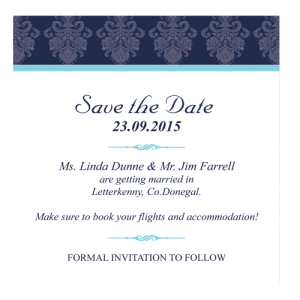 Weddingcardsdirect.ie have a unique range of personalised save the date designs to ensure you announce your wedding in style. 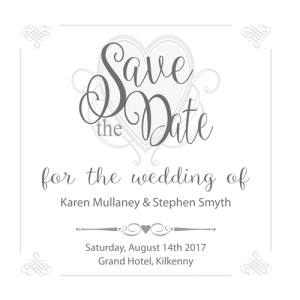 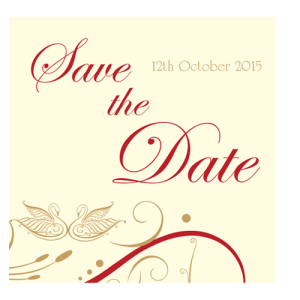 In general save the date designs do not have to be an indication of your wedding theme. 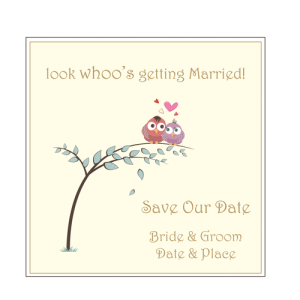 Our save the date designs vary from quirky to floral save the date designs. 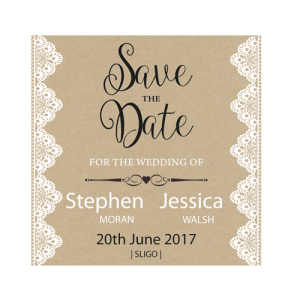 Our ordering process allows you to design your chosen card online with your wedding information. 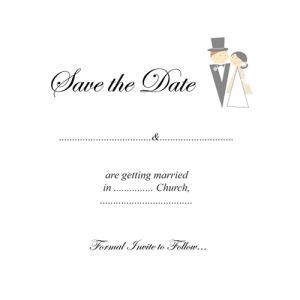 The most vital save the date information is the month, the destination and your wedding guests names on the envelope.